The Hutchinson Overide Tubeless Ready Gravel Tire is a versatile dire designed for performance across all surfaces. Featuring a semi-slick tread pattern with a rolling center section plus low-profile diamond knobs across the shoulder for cornering, the Overide excels at riding gravel and dirt roads while still fast enough for asphalt. With its tubeless ready casing, you can take advantage of lower inflations pressures as well as reduced flat chace. Additionally, Hutchinson's Hardskin bead-to-bead technology prevents punctures to provide added peace of mind for gravel riding. 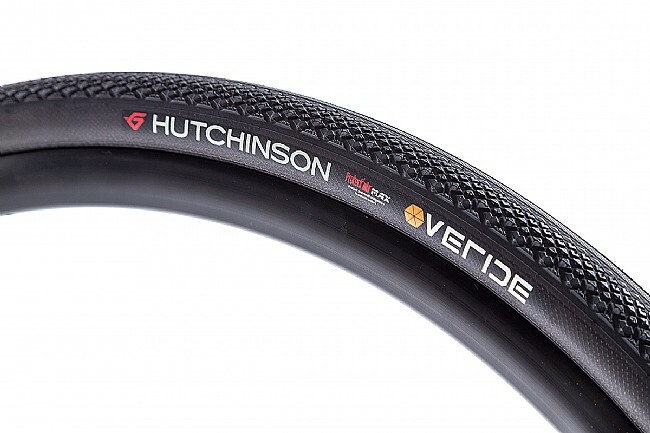 The Hutchinson Overide 700c Gravel Tire is tubeless ready. Available in two widths: 35mm and 38mm.